Want to get out this winter to explore the woods? Excited to learn more about Nova Scotia's trees and forests? Sugar Moon Farm followed by a tasty local meal at our restaurant. Join Sugar Moon's Matt Miller on these informative eco talks. These hikes are intended for folks with an interest in Nova Scotia forests and who are up to a moderately challenging 2 hour winter snowshoe hike. There is limited space. Choose your event(s) below. You'll book and prepay online. Cost $ per person (hst included). 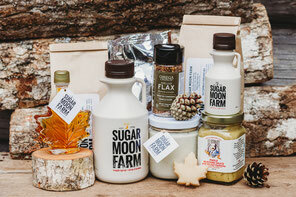 We've got BRUNCH FOR TWO Gift Boxes at the restaurant that include syrup, pancake mix, mustard + maple butter. You can order these online and either have them shipped by Canada Post or by courier. Place your order HERE. Email Jordan if you need assistance. In this presentation, Chiropterologist Jordi Segers will be talking about the diversity of bat species around the world and why bats are important and not to be feared. He will also bring it closer to home and talk about the specific bat species that we have in Nova Scotia, the devastating effects that white-nose syndrome has on bats, and what you can do to help bats right in your backyard. You will be surprised at how much there is to learn about these amazing and elusive little mammals who are the true superheroes of the night sky. 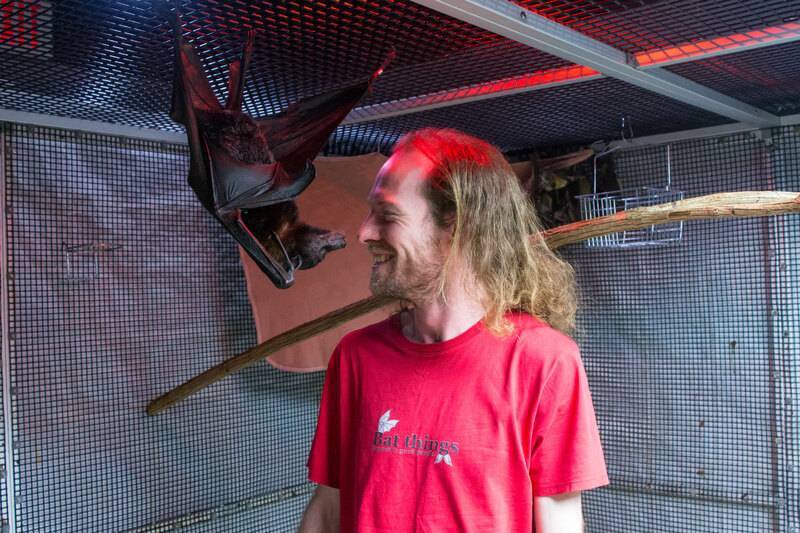 Jordi Segers started working on bats as a graduate student at Saint Mary's University in Halifax in 2012, conducting his fieldwork right in the maple forests of the Sugar Moon Farm. He spent many days and nights radio tracking bats here and became very familiar with the maple forest, occasionally enjoying a delicious pancake at the end of a night shift. After graduation in 2014, Jordi went on to become the National bat white-nose syndrome scientific program coordinator with the Canadian Wildlife Health Cooperative, based out of Charlottetown, PEI, where he has been working since. 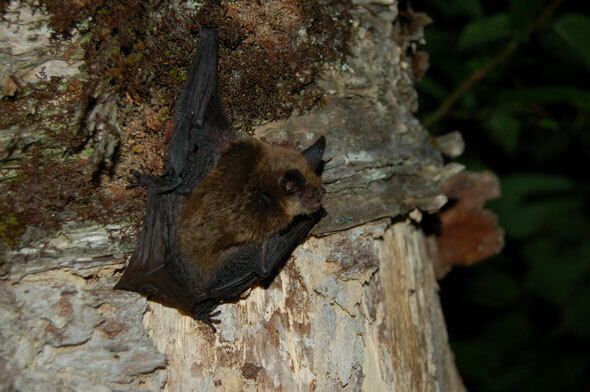 In his current job he is tasked with bringing together biologists, wildlife managers, policy makers, as well as working closely with the public to build a response to this emerging wildlife disease (white-nose syndrome) that is rapidly killing bats in Canada, in an attempt to save the endangered bats from possible extinction. Pre-booking is required - limited space! Tickets include a tasty pancake meal, hst and gratuities. 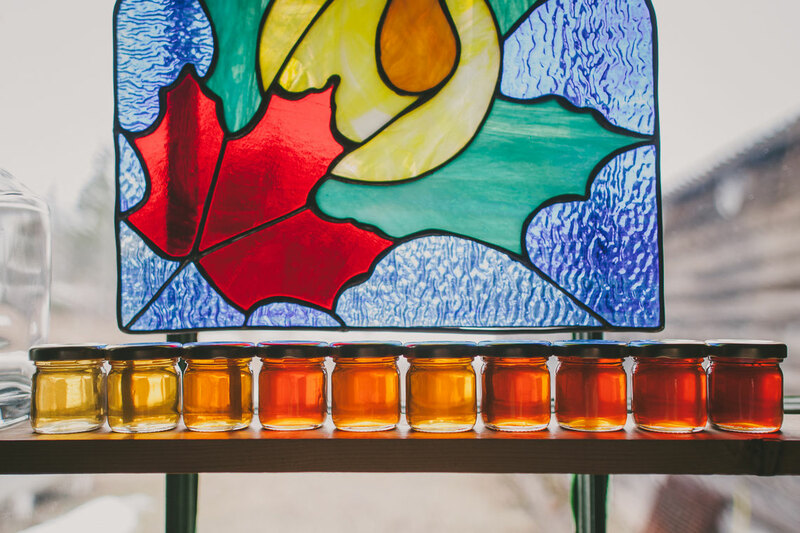 A portion of your ticket will go toward covering Jordi’s travel costs from PEI as well as providing a small donation to Bat Conservation International. Beverages (including local beer, wine and cider) will be available for purchase. Note: all prices include a donation toward Bat Conservation International. Two Red Fife buttermilk pancakes topped with seasonal fruit and served with smoked pork sausage, Sugar Moon maple baked beans and a fresh biscuit with maple butter. Two Red Fife buttermilk pancakes topped with seasonal fruit, served with a pork breakfast sausage and a fresh biscuit with maple butter. -Beverages available for additional cost. -Cash bar available with local cider, wine, beer as well as unlicensed drinks. -Vegetarian option: Quiche served with organic mixed salad + maple vinaigrette. 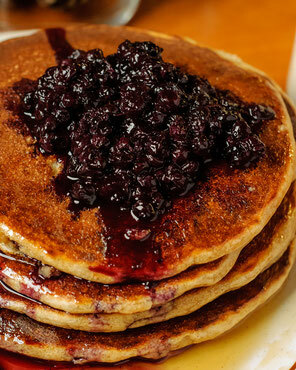 -Gluten-free pancakes available (cooked on the same surface as regular pancakes).